CHEVY TAHOE 4X4! CLEAN CARFAX+19 SERVICE RECORDS, LEATHER, MOON, NAVI, DVD, CHECK OUT THE VIDEO! 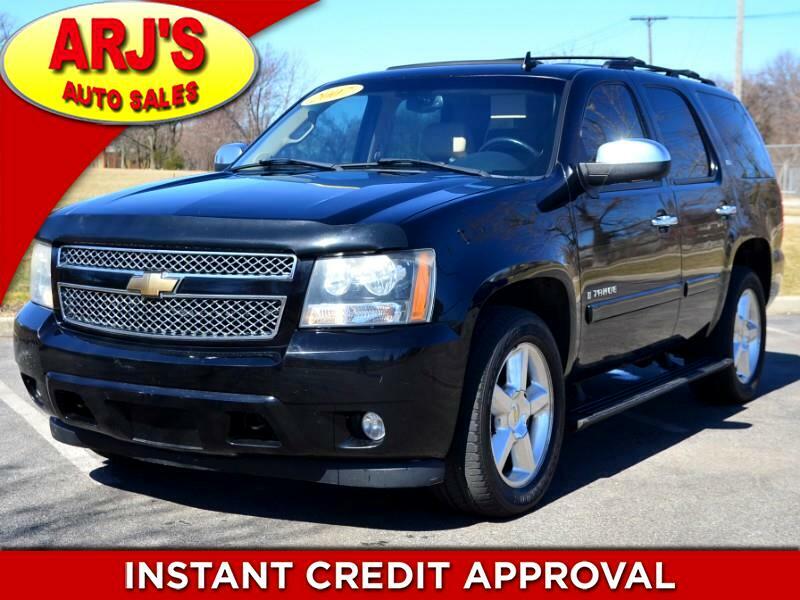 ARJ'S AUTO SALES IS PROUD TO PRESENT THIS SHARP 2007 CHEVY TAHOE 4X4. CLEAN CARFAX AND WELL MAINTAINED WITH 19 SERVICE RECORDS. SHARP IN A BLACK METALLIC EXTERIOR THAT OPENS TO A TAN LEATHER INTERIOR. GREAT CONDITION AND EQUIPPED WITH HEATED FRONT SEATS, MOONROOF, NAVIGATION, REAR CAMERA, REAR DVD, BLUETOOTH AND STEREO CONTROLS ON THE STEERING WHEEL. OUTSIDE, YOU HAVE RUNNING BOARDS AND ALLOY WHEELS WITH GREAT TIRES. A 5.3L V-8 AND DRIVER SELECTABLE 4X4 ARE HERE TOO!